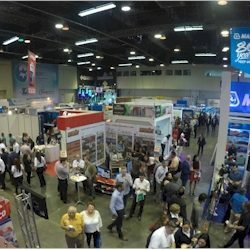 2018, January 18-20 | EXPO MAQUINA is one of the largest commercial exhibition of machinery, equipment, products and services of the construction, industrial, logistic, maritime, mining and agricultural sector in the Latin American region. With a unique display of technology, live simulations, high-end machines by a wide range of recognized exhibitors, EXPO MAQUINA is the perfect setting, where technology and innovation are shown to a large number of visitors. You’re very welcome to visit our representative Wequips for live demo’s and to meet Mr Almar Ourensma, Profound’s commercial director, who will be present at the Wequips’ booth 36B-37B during the exposition.